I am probably one of The Sartorialist’s biggest fans. fabric mills, I have used this as one of my bibles. As I know do so many others in the industry. The menswear is as significant to me as the womens. image they have created for others to appreciate. which is a beautiful fashion store in Milan. 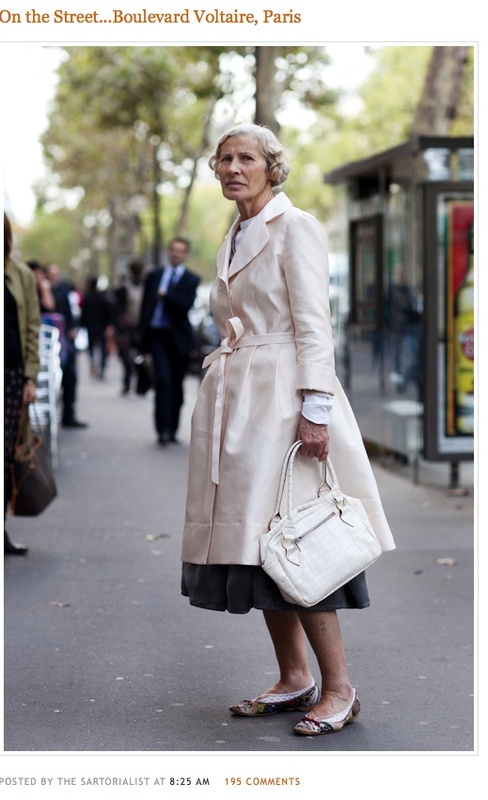 She has worn it with effortless style, and has attracted nearly 200 comments for this Sartorialist entry.